As well as the incredible natural diversity and stunning vistas, one of the most attractive features of the Sierra Nevada is the fact that the altitude range allows for year-round activity in the mountains. From the dramatic high peaks to the rolling foothills of the south there is something for walkers of all levels. This area offers some of the best walking in Granada province. Ramblers will find easy to moderate routes in La Alpujarra all year round although the hottest months of July and August are perhaps less popular. Against the backdrop of the high peaks of the Sierra Nevada, La Alpujarra offers a wonderfully varied landscape of gently rolling hills, deep gorges, terraced cropland (olive and almond groves) and glimpses of the Mediterranean and the Riff Mountains of Morocco beyond. 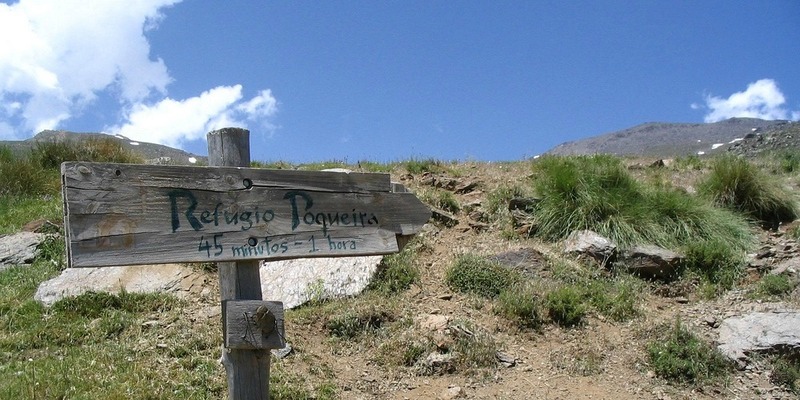 The GR7, which is part of Senderos de Gran Recorrido network, is the Spanish section of the European long distance path E4. The path originates in Tarifa, in southern Andalucía, and continues through Murcia, Valencia, Catalonia and onwards into France. The E4 finally terminates in Greece (via Switzerland, Germany, Austria, Hungary, Romania and Bulgaria). The the route through the Alpujarran stretch of the GR7 is based on old mule trails that link the high villages including those of the famous Poqueira Gorge. There are various itineraries open walkers along this route. You can take a week-long trek, tackling the path section by section, or dip in for only a few hours of gentle rambling. 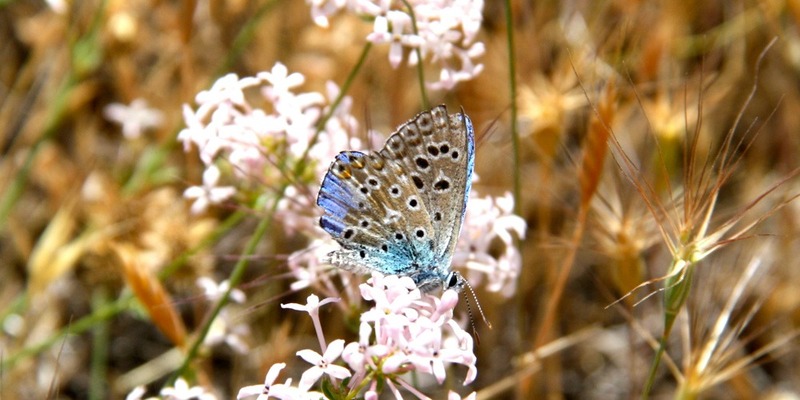 Springtime is the best time to go as the temperature is pleasant and the wildflowers a joy. Granada stretch was overhauled in 2007 and clear waymarkers and directional markers make it an easy route to follow. The GR142 is a lesser know path running below the GR7 linking Lanjaron, Orgiva, Mecina Fondales and Busquístar. For the more adventurous there is the recently inaugurated (2007) Sulayr Path GR240. This demanding 300km route encircles the whole Sierra Nevada range is broken down into 19 stages. This route is recommended between September to June thus avoiding hot summer months. If you are coming to do some walking in the summer when the snow, that caps the mountains, has all but disappeared it possible to explore the upper Rio Lanjarón valley and swim in the high mountains lakes which supply La Alpujarra with water through the year. Further south of Granada is the Lecrín Valley where you can pick up the GR7 as it passes through Niguelas on the section from Lanjarón to Albuñuelas. Here you will pass through citrus and almond groves and explore Moorish ruins. Visit Spanish Highs for info on walking holidays.